When you visit Cooperlake Chevron, located in Smyrna, GA, 30080, you'll experience superior service for your Porsche vehicle. Our staff of highly-trained and dedicated Porsche service technicians are ready to handle any service or maintenance problems. In order for us to provide superior service, we needed to understand the Porsche brand. Cooperlake Chevron has knowledgeable Porsche technicians ready to fix your Porsche vehicle and get you and your car back on the road as affordably and quickly as possible. Cooperlake Chevron prides itself on offering affordable and quick repairs and our staff is waiting to service all your Porsche needs. 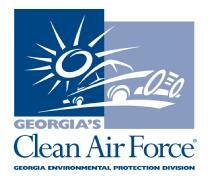 Please give us a call at 770-432-0203 or also stop by our service center.